We are building a self-sustaining village for Ugandan people in desperate need of a new home and a new life. Help transform this hope into reality! Kids Inspiring Kids is a 501(c)(3) charitable organization working in Uganda with a group of about 3000 refugees, mostly from the northern Acholi region, now living in a makeshift refugee camp in the Ugandan capital city of Kampala. They have survived numerous atrocities in their lifetime, but are now facing the demolition of their current living quarters. Since 2005, our organization has provided guidance and enrichment to these people through various charitable programs. Now, these people are in greater need of help than ever before. Despite the incredible atrocities they have faced in the past, they are once again facing life-changing and life-threatening circumstances. We have a transformative solution that will create generational impact for years to come. It also requires significant contributions from generous donors. Building Place of Refuge Village will provide them a safe and self-sustaining place to call their home for generations to come. This is just the start of our dream to transform life in Uganda. Please consider helping us achieve this dream. KIK is called to serve these refugees in great need of help by building them a new, self-sustaining village. There is perhaps no greater impact a charitable donation could have, as this project will be directly saving thousands from inevitable death and creating them a place to call home. Read on to learn how you can help! 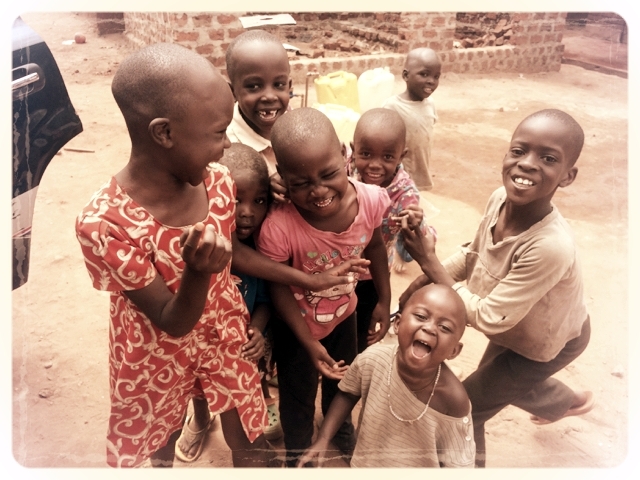 The Kids Inspiring Kids organization cares for about 3000 Acholi refugees that are soon going to lose their current living quarters at the Banda Acholi ghetto, a makeshift refugee camp in Kampala, Uganda. We are transforming the lives of these deserving refugees through the construction of the Place of Refuge Village. This village will be a full-service and self-sustaining township consisting of individual family homes, a school system, marketplace, church, community center, health clinic, row crops, fruit trees, and livestock. Our dream is becoming a reality! We have purchased land and started the village construction. We need funding to obtain additional land and materials to progress further with our project. Learn about our progress thus far, volunteer opportunities, how your donations are respectfully used to save and improve the lives of these special people! You have a unique opportunity to impact lives in a way that may be unmatched by any other charitable organization through donations to our Place of Refuge Village project. The lives of these Ugandan refugees depends on the success of this project. The impact will be profound, generational, and life-saving. Our village can be built for likely around $4 to $5 million USD, a relatively small amount of money to purchase the land and construct a complete township for 3000 inhabitants. The entire project can be funded at a rate of only $1000 to $1500 per person impacted. Incredibly, this amount can provide a home, a new town, and a future for these refugees. We are now accepting volunteers to help on-site with the village project. We would appreciate your donation to our village project. All donations are tax-deductible. We rely on you to spread the word and keep us in your prayers.